In case you haven’t noticed, Echosmith is slowly taking over the music industry as well as the hearts of us writers over at ATP! We’ve given you the lowdown on their debut album, Talking Dreams, we’ve dubbed them our Band of the Month for October, and now we’re going to share with you why you should love them as much as we do. These four siblings – Jamie, Noah, Sydney and Graham – may be new to the indie-pop scene, but that doesn’t mean they’re any less qualified for the job. The California-natives have been actively making music together since 2009 and have been signed under Warner Bros. Records since 2012. They’ve caught the attention of acts like twenty one pilots, Neon Trees, The Summer Set and Owl City, all of whom Echosmith has opened for in the past year. They’re actively using their social media sites, reaching out to fans via Facebook and Twitter. Ultimately, this band has got this industry down pat and they’re only just getting started. Echosmith has a promising beginning with the abundance of positive reviews of their first record and humbling responses from each member. With Warped Tour under their belts and a handful of headlining shows in the near future, they’re four kids that you just can’t help rooting for. 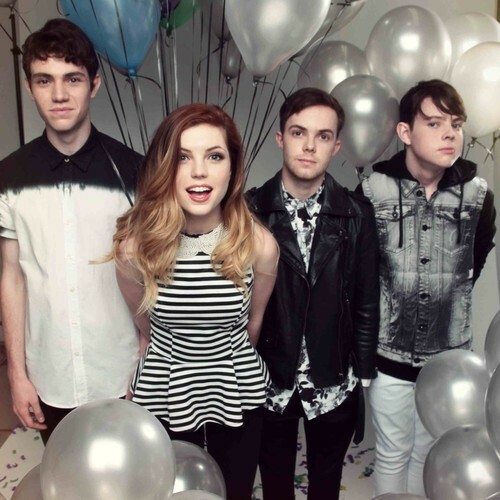 You can also catch Echosmith this fall with Tonight Alive, The Downtown Fiction, and For The Foxes on the ATP! sponsored The Other Side Tour.